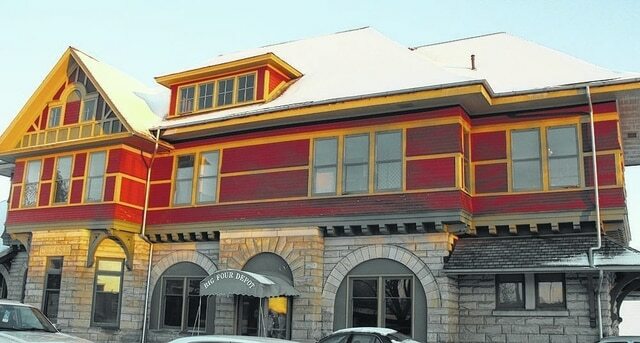 Discussions are taking place on revitalization plans for the Big Four Depot in Galion. (Photo provided). A public meeting will be held 6-8 p.m. June 8 at the Peace Lutheran Church fellowship hall, 123 W. Walnut St., Galion, in order to develop a vision to discuss the future of the Big Four Depot. “This is an effort on behalf of the City of Galion to bring people together to gain public input and identify resources to create an overall vision and goal for the Depot.” said Wendy Zucal, who is serving the city as a consultant on the project. For more information, contact at 330-340-1445 or director@dennisondepot.com. NEW JOB – Bucyrus resident Haley Davis has joined the Ohio Farm Bureau Federation as its Organization Director to support the operations of county Farm Buereaus. According to state officials, Davis will help develop and implement programs along with identifying ways to serve new members and communities. Davis is a 2013 West Virginia University graduate and has been involved with 4-H for 10 years. FARMERS MARKET STILL RUNNING – Crestline Farmers Market is open from 3-6 p.m. every Tuesday at 202 N. Thomas St., by First United Methodist Church. Officials say fresh produce would be available soon and the market hosts a wide variety of vendors. HUSTED HAPPY FOR BUSINESS FEE CUT SUPPORT – Ohio Secretary of State Jon Husted said he’s happy the Ohio General Assembly is backing his initiative to reduce Ohio’s business filing fees 21 percent. The bill passed the Ohio State by an unanimous vote after previously being passed by the Ohio House of Representatives. Pugh is the Group Editor of the Galion Inquirer, Morrow County Sentinel, Bellville Star and Knox County Citizen. You can reach him via email at cpugh@civitasmedia.com or on Twitter @pughcivitas.